Makara Sankranti is celebrated as a festival in India but astrologically, it is the day when Sun enters zodiac sign Capricorn. It begins its movement away from the tropic of Capricorn and towards the northern hemisphere. That is why next 6 months are called as ‘Uttarayan (uttar(north)+ayan(movement) of sun)’. 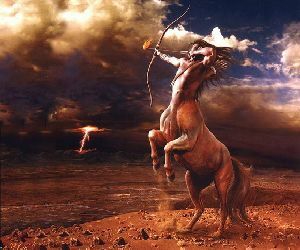 Dakshinayan starts when Sun enters zodiac sign Cancer during mid July. Start of Uttarayan is termed as day of gods (devas in heaven) and Dakshinayan is their night. This is very much similar to the 6 months day at north pole after winter solstice and 6 months night from summer solstice. Refer to details of Uttarayana, Winter Solstice etc from Bhagavatam written 5000 years ago. 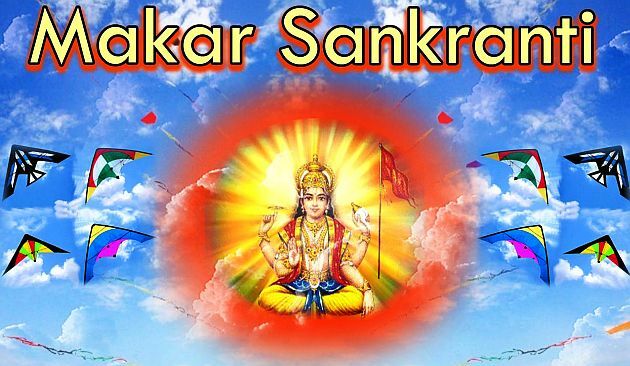 This year’s Makar (Capricorn), Sankranti (Sankraman = transmigration) occurs on 14th January 2014 at 17:04 hours IST (according to K.P Ayanamsa). 4.5 hours from this moment is called as Sankranti Punya Kaal Muhurta and Mahapunya Kaal Muhurta is only the initial 24 minutes from 17:04 IST. This is also the best time to spend in a temple or at a peaceful place and recite Gayatri Mantra in silence. In vedic religion (not today’s so-called hinduism), God does not have any shape and time is manifestation of God. Vishnu or Narayana is worshipped through Sun God and these Sun’s equinoxes are celebrated as festivals. Sankranti Purusha enters as Atreyasa Gothra, Mandakini namadheya, on Gaja vahana (Elephant). He arrives arrives with the name of Mandakini (harmful to kings, emperors or rulers), by bathing Kumkuma Vilepitha snana (auspicious), by applying ‘Parani’ gandha (demolishes the demonic nature of women), adorning with Neela Vasthra (Mahadbhayam – fear), ‘Japa Pushpa’ flowers (Yuddha Bhaya – Fear of war), wearing Gomedhika Abharana (harmful period for people), holding ‘Kodanda’ (war and terrific situations for police and army), holding the golden umbrella designed with peacock’s eyes (death rate will decrease), in glass bowl (fear of wars) eating food items made of milk (fear of losing fame and charm) and gooseberries (death of thieves and robbers), on elephant (political turmoil), in Agneya disha – South East side (drought in South Eastern regions). Vedic astrology also lists characteristic of each Sankranti based on Panchangam. These characteristics are omen of coming events in the month. Whatever items are influenced by Sankranti Purusha are believed to go through bad time. Example : If Sankranti Purusha is adorning with gold then the coming month is not good for those who deal in gold commodity and so on. Last year Gold prices came down heavily due to this along with transit of Jupiter. In 2015 it will be Iron and other dark colored metals extracted from earth. He is travelling faced west, so Europe and USA will face threats of terrorist attacks. Religious wars, bomb blasts, hijacking, kidnapping, mass murders will happen in Europe and Asia.